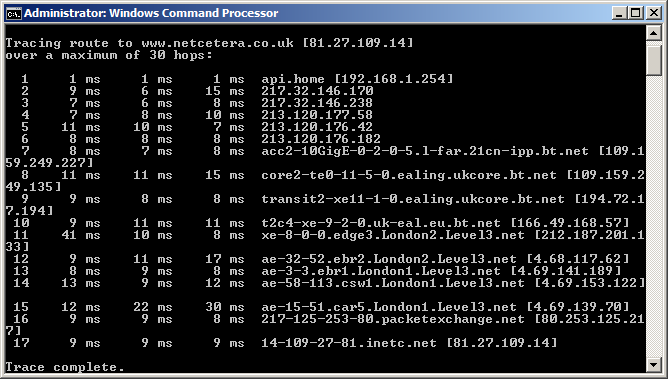 Traceroute is a command which can show you the path a packet of information takes from your computer to one you specify. It will list all the routers it passes through until it reaches its destination, or fails to and is discarded. In addition to this, it will tell you how long each 'hop' from router to router takes. Enter the word tracert, followed by a space, then the domain name.